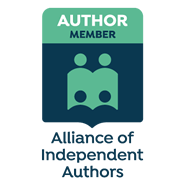 Some time ago I joined a book review group on Goodreads and over many months I have met a few impressive Indie authors there. A fellow writer, known as J C Wing (Jennifer), recently invited me to take part in a blog tour. I would like to introduce her here as my sponsor. J C Wing is the author of two books that I have read and enjoyed immensely: The Color of Thunder and Alabama Skye. She always seems to have several projects on the go and is particularly interested in researching history, ancient and modern. Jennifer is a sensitive and empathetic person whose descriptive writing reflects those feelings with an obvious talent. Her preference for home-schooling her own children was interesting to me as a retired teacher, and I found her positive comments about my own book had a special significance to me. Her bio: J.C. is a Colorado native but has been fortunate enough to be able to live in both North Carolina as well as southwest Germany. In 2012, she published her first novel, The Color of Thunder, and Alabama Skye was released in June, 2014. Later this year the first book of a new series called The Goddess of Tornado Alley will be published under the pen name Leigh Scott, and in 2015, J.C. will be releasing a historical fiction novel called Red Beard and the Ravens based on the lives of the German emperor Frederick Barbarossa and his family. You can visit J C Wing’s blog by clicking here. GJG grew up in the Midlands, in the UK. He went to a boy's grammar school in the nineteen fifties and sixties and later spent several years in photographic retail and distribution. After graduating as a mature student in Physics and Chemistry GJG became a Science and Technology teacher, for two decades, in various comprehensive schools. He has always enjoyed reading a wide range of literature, both fiction and non-fiction, and has written poetry and stories, and occasionally scripts, for many years. Other hobbies include walking in the English and Welsh countryside, bird-watching and in recent years the delights of being a grandad have appeared in his schedule of pastimes. 4) Why do I write what I do? What am I working on? Currently I am attempting to write the third book in the So What! Stories series and have also started on a kids sci-fi book. I want to introduce a more sinister overall background to the second sequel to So What! Stories while, at the same time, retaining the occasional amusing anecdote about the children attending Birch Green High School. It has to be a delicate balance which is giving me a new challenge, because I still want to include what I call an “ambush twist” to the story near the end. My readers tell me that they like both: the occasional chuckle plus a twist they never saw coming their way! I have tried out the first chapter of the juvenile science fiction story on two of my grandchildren and it met with their approval. Phew! They seem to feel that the book would be aimed at 6 to 9 year-olds. I hope that I can come up with the remaining chapters, though I think that the illustrations for the book will present me with the bigger challenge. “Watch this space” isn’t going to be the half of it I suspect. How does my writing process work? Once I am sure about the general direction of my story I try to let the characters dictate the details within the situations and events. That is not to say that I plod relentlessly along a single path until I reach the end of the story. Often I attempt to create confusing situations that may throw the book’s characters off track. This means I have to concentrate on ensuring each person behaves within their drawn character, the one with which the reader has become acquainted. It is often difficult to keep on writing and I have read elsewhere that this is not unusual but once I have started a new book I attempt to keep on writing something every day. There are times when what I have written seems like rubbish or feels unsatisfactory – but brushing it up later is a useful exercise in itself. I think it is important to keep on writing, attempting all the time to improve one’s technique. Reading other authors’ work is important to me, not just because of the enjoyment I get from it, but also because it can be inspiring. Of course other topics or styles may not be necessarily in the genre in which I write and I try not to copy another author's way of telling a story. But I think it helps me to find my own "voice" for the tale that I want to tell. A beautiful peacock butterfly settling on a buddlea bush in the Nature Corner from So What's Next! the sequel. Year 9 hard at work in the IT room of Birch Green High School. Or are they playing games in the run-down to Christmas? San Francisco, the home of Jimmy Lucas and Walt Sheppard in Fallen Hero. How does my work differ from others of its genre? The books that I have written so far fit into the contemporary fiction genre, with a sub-genre maybe of coming of age for Fallen Hero and humorous for So What! Stories. The narrative in this kind of contemporary fiction often oscillates between the mundane, day to day events in a school, and surprising, amusing, or even shocking incidents - sometimes all three. While it is possible to include a steady building of the suspense found in a thriller or horror novel, it is not something that the reader always expects. What I try to do is include as much humour, tragedy and poignancy as the story and the characters will allow; always remembering to remain faithful to the realistic direction of the general plot-line. That is not to say I won't put in a surprise "ambush twist" somewhere in the story in order to keep the reader on their toes! I had started writing short stories and scripts about the children I had taught long before completing Fallen Hero. When I decided to combine them all into a novel, later to become my second book: So What! Stories or Whatever!, I did not have a proper plot. I was finding it difficult to discover a satisfactory direction so that the many characters’ stories would slot in to a jig-saw of collected tales. Originally, after retiring from teaching, I just wanted to write and write about the kids I had taught and tell readers about some of their hilarious tales. Then after a while I saw that many of the stories would be tinged with sadness or tragedy and that my book was not going to be just a collection of funny stories. I wanted to include some of the difficulties that teachers also faced, often many times a day; and what about parents and their concerns and worries? So a struggling teacher, Robert Jeffrey, became the main character and his journey through secondary education became the main theme of the book, together with his many interactions between him and his students. With Fallen Hero the TV program called “Who Do They Think They Are?” was the initial trigger for the story. Watching all those people looking into their ancestral past, and seemingly becoming very upset about certain individuals in their pedigree, I wondered about how much their emotions had been stirred by the actions of their forebears, such as cousins, grandparents and even great grandparents. After all they had never met them or never even knew about their existence previous to their research. The tears, regrets and often anger that became evident on the screen betrayed how delicate feelings may often lie very near the surface. I wanted to explore a potentially emotional situation, when someone looking into their ancestry, discovered that their father was involved in an assassination plot. How would they feel? How would they react? And in particular what emotions may be stirred if the father was the biological father that an adopted child had never known? Thankfully once I started writing the story the characters took over and Fallen Hero was the result. Short Bio: Angela Burkhead is the author of young adult novels such as Sticks n' Stones and the Garden of Phea now available on Amazon. She currently resides in Hubert, NC and spends most of her time procrastinating and daydreaming about finishing her next book. And an author I’ve read and enjoyed, Khalid Muhammad, who seems to spend much of his time travelling between the US and Pakistan promoting his novel, Agency Rules. Not an easy exercise at times while there are the kind of terrorist problems of which he writes! In his recent email two quotes: “Sorry… I was stuck because of the situation in Pakistan,” and “Things are crazy in Pakistan right now”. Short bio: Khalid Muhammad recently published his debut novel, Agency Rules – Never an Easy Day at the Office, a spy thriller based in Pakistan, available on Amazon, Barnes & Noble and iTunes. In his professional life, he owns and manages the emagine group, a marketing services company that specializes in digital and social media marketing. Find out more about him at Facebook or @AgencyRulesPK. I highly recommend both of these authors. If you have the time, please check them out. They are both definitely worth a read.